Arbors using lattice patterns can create a dramatic entry from a side yard to the outdoor entertaining space. Soften the hard lines with trailing or flowered vines. 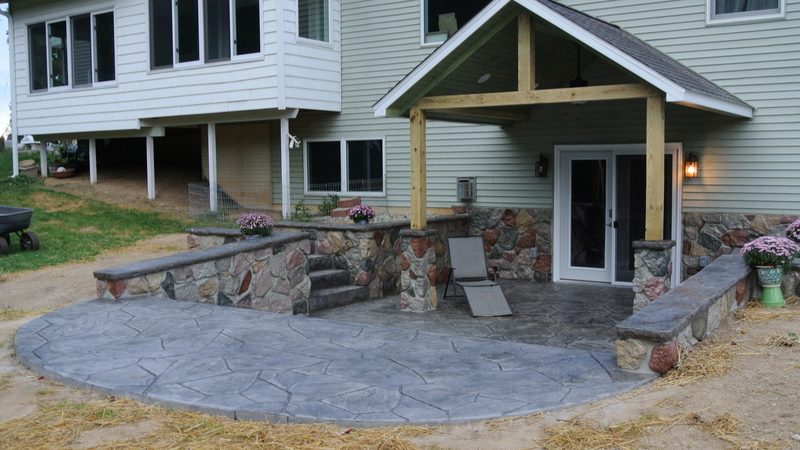 Utilize pavers for winding paths through a garden or for connecting the space to the home, creating a sense of flow and continuity. They are also effective as retaining walls or as the foundation for the entire outdoor entertaining space. They come in a variety of sizes and colors, so don’t be afraid to mix and match to achieve the atmosphere you want. Designs using containers filled with dwarf trees and tall grasses can divide an entertaining area or create a secluded nook without taking up a lot of space or making it feel cluttered. Landscaping with strategically placed water features such as ponds or fountains lends a serene feeling to any space. Tropical plants and fragrant flowers enhance the setting and give it exotic allure. Soft fabrics blended with oversized furniture built for lounging set the scene for weekend parties or drowsy afternoons reading. A fireplace can extend the use of the space by adding heat to ward off chilling Fall or Spring evenings and add a romantic air to intimate conversations. 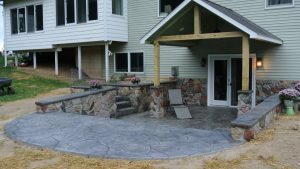 Effective landscaping doesn’t need to be expensive and combining pavers and planters in almost any configuration or climate creates flexibility. Professionals with design experience can take your ideas and implement them quickly, allowing you to take full advantage of the beautiful outdoors.